The 2005 treaty establishing the Energy Community requires contracting parties to implement important parts of the EU acquis on energy markets and environmental protection. It provides for the creation of a single energy market and a mechanism for the operation of networks in the South East European region which disintegrated following the conflicts of the 1990s. 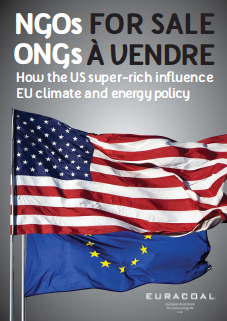 In 2011, the contracting parties agreed to implement the EU’s third internal energy package by January 2015, although parties are not obliged to join the EU emissions trading system. The Energy Community offers opportunities to owners of coal-fired power plants in South East Europe who will gain access to what should soon become the world’s largest electricity market. 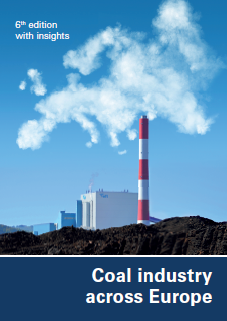 At the same time, plant owners will be required to make very substantial investments in pollution control equipment to meet stringent EU emissions legislation. Austria has limited primary energy resources and is dependent on energy imports for two thirds of its primary energy supply. Although no longer exploited, lignite resources total 333 million tonnes, lying mainly in western Styria, near Graz. During the Monarchy, the country’s energy demand was largely met by coal from Moravia and Silesia. After each of the world wars, hard coal and lignite mining in Austria was expanded to replace production lost elsewhere; lignite output peaked at over 6 million tonnes in 1963, when hard coal output was 100 thousand tonnes. However, with increasing trade and the trend towards greater oil and natural gas use, Austria’s underground hard coal mines became less competitive and were closed during the 1960s. After more than two centuries, Austrian coal mining ended in 2006 with the re‑cultivation of Oberdorf lignite mine. Poland, the Czech Republic, the United States and Russia are the main coal exporters to Austria. In 2015, 3.8 million tonnes of coal were consumed, mostly by the power and steel industries. The integrated steel works operated by VOESTALPINE at Linz has an annual crude steel production capacity of 6 million tonnes. At Dürnrohr power plant in Lower Austria, EVN owns and operates a 352 MW unit. A second 405 MW unit owned by VERBUND at the same site was closed in April 2015. The neighbouring states of Estonia, Latvia and Lithuania lie between the Baltic Sea and Russia. In 2004, these former Soviet states joined the EU and by 2015 all had joined the eurozone. To their south, the Russian enclave of Kaliningrad Oblast borders Lithuania and Poland. Estonia, Latvia and Lithuania seem poised to join the continental European electricity network after the signing in December 2014 of a roadmap by TSOs and then, in January 2015, of a declaration by energy ministers. The intention is to desynchronise the Baltic States from the Russian IPS/UPS network, leaving Kaliningrad isolated unless DC links are built or the enclave joins the ENTSO system. While no coal is produced in the Baltic States, all three countries consume modest volumes of imported coal, mostly from Russia, and offer important transit routes for Russian coal exported elsewhere. In Latvia, shipments through the Baltic Coal Terminal at Ventspils fell to just 1.9 million tonnes in 2015 as a result of retaliatory sanctions by Russia. A planned expansion of the 6.0 million tonne terminal to an annual capacity 10.5 million tonnes looks doubtful. Ust-Luga, 120 km west of St. Petersburg, has become the largest port for coal in the region, although ice can hinder operations there as well as at St. Petersburg and Vyborg (Vysotsk) ports. Alternative routes for Russian coal exports include via ports at Tallinn (Muuga) in Estonia, Riga and Liepāja in Latvia, Klaipėda in Lithuania and Kaliningrad. Klaipėda port is strategically important as the northernmost ice-free port on the eastern coast of the Baltic Sea, with good infrastructure links to Russia. The Kaliningrad enclave is dependent on imported energy from Russia, although power is generated locally. The 450 MW gas‑fired CHPP‑2 was commissioned in 2010, supplementing the heat and power output from many smaller plants totalling 200 MW. To ensure power supply security, three new gas-fired units and a coal-fired unit are planned with a combined capacity of 1 000 MW. In Lithuania, the closure of Ignalina nuclear power plant (NPP) at the end of 2009 left a power vacuum in the Baltic region. This could have been filled by the proposed Visaginas NPP, but a consultative referendum in October 2012 saw Lithuanians vote against this project. Meanwhile, the 2 400 MW Astravyets NPP, 50 kilometres from Vilnius, is under construction in Belarus, with commissioning of the first unit scheduled for 2019 followed by the second unit in 2020. In October 2014, a new floating LNG terminal was opened at Klaipėda with an annual capacity of 4 billion cubic metres, partially filled with contracted gas from STATOIL of Norway. Estonia is uniquely dependent on indigenous oil shale for its energy supply and enjoys an energy import dependency of just 8.9%, the lowest in the European Union. Large quantities of oil shale are used to generate competitively priced electricity at thermal power plants where it is used in much the same way as coal – either as a pulverised fuel in older boilers or in new circulating fluidised beds (CFBs). Oil shale is a sedimentary rock containing up to 50% organic matter – Estonian oil shale extracted from the Baltic kukersite deposit has a heating value of 8 000-11 000 kJ/kg and 1.5% to 1.8% sulphur content. Once extracted from the ground, the rock can be either used directly as a fuel in power plants or processed into petroleum products. The only other countries that exploit oil shale are Brazil, China and Israel, with prospects in Jordan and the United States. Estonia’s accessible oil shale resources total approximately 1.3 billion tonnes. In 2015, 15.2 million tonnes of oil shale (6.0 Mtce) were mined by EESTI ENERGIA and VIRU KEEMIA GRUPP at underground mines and by EESTI ENERGIA, KIVIÕLI KEEMIATÖÖSTUS and KUNDA NORDIC TSEMENT at surface mines. Oil shale production has grown to meet growing demand for oil products produced from oil shale. In 2008, the annual limit of oil shale mining established by the government was 20 million tonnes and its objective was to reduce mining to 15 million tonnes by 2015. EESTI ENERGIA plans to implement longwall mining at its Estonia mine to improve recovery rates above those achieved with the room-and-pillar mining method employed to date. In 2015, Estonia generated 83.2% of its gross electricity supply of 10.4 TWh from oil shale, a share that is expected to decrease in the future in line with government policy. Around 75% of oil shale production is used for electricity and heat generation, notably at the EESTI ENERGIA Narva energy complex, comprising the 1 615 MW Eesti power plant and the 405 MW Balti power plant which also supplies heat to the town of Narva. The adjacent 300 MW Auvere power plant will be completed by GE in 2017, running on oil shale and biomass. The environmental issues associated with oil shale exploitation are complex. With 45% incombustibles, ash can occupy 25% more volume than the original shale which does not collapse when burnt. To meet EU directives on emissions to air, all old pulverised-fuel boilers have been closed or upgraded. Balti 11 and Eesti 8 were repowered with CFB boilers and further units have been fitted with a novel integrated desulphurisation system, supplemented with lime injection, and with deNOx systems. 7 400 people are employed in the Estonian oil shale industry, of which 3 200 are employed at mines. In the 19th century, the Walloon coal mines of southern Belgium fuelled the country’s industry-led expansion. Later, in 1917, coal mining started in the north-east around Limburg where the geological conditions were favourable. National coal production peaked at 30 million tonnes between 1952 and 1953 and was maintained at this level until the late 1950s. Output gradually declined as the Walloon and Limburg mines closed: Eisden mine closed in 1987 and Belgium’s last colliery at Heusden-Zolder ceased production in 1992. Remaining hard coal resources are estimated to be 4 100 million tonnes. Imported coal totalled 4.2 million tonnes in 2015, coming mostly from Russia, Australia and the USA (more coal is imported into Antwerp for onward delivery to customers in other EU countries). Coal provides about 6% of Belgium’s primary energy supply and is used mainly by the steel industry, notably by ARCELORMITTAL at Ghent. With the decommissioning of Ruien coal-fired power plant in 2013 and the conversion of other coal plants to fire biomass, coal consumption for power generation is no longer significant. Gross electricity supply in 2015 totalled 68.1 TWh of which 26.1 TWh (38.3%) was from nuclear power stations, 21.3 TWh (31.3%) from gas-fired plants, 4.2 TWh (6.2%) from coal (mainly at the 556 MW Langerlo power plant now owned by GRAANUL INVEST) and 8.7 TWh (12.8%) from wind and solar. Other coal-fired plants in Belgium consumed biomass which, together with generation from other biofuels and waste, accounted for 6.3 TWh (9.3%) of generation, with hydro (2.1%) and oil (0.2%) the remainder. Electricity imports have risen fivefold since 1990 to 23.7 TWh in 2015 due to capacity closures and lower prices in France, the Netherlands and Luxembourg. Belgium’s largest power utility, ELECTRABEL – a subsidiary of ENGIE – has invested in coal-fired power plants in the Netherlands. Cyprus imports small quantities of hard coal for use mainly by its cement industry (CYPRUS CEMENT and VASSILICO CEMENT). An offshore discovery of natural gas reserves in the Levant basin, estimated to be at least 500 billion cubic metres, has the potential to significantly enhance the energy sector in Cyprus. With the new offshore gas exploration taking place, Cyprus may become an important LNG hub between Europe and Asia. With the rise in its oil and gas production from the North Sea, Denmark became energy self-sufficient in 1999 and, in 2004, a net exporter of primary energy. The country is the third largest oil producer in Western Europe, after Norway and the UK. However, oil and gas production are in decline and Denmark returned to being a net energy importer in 2013. Gas production in 2015 was 4.6 billion cubic metres – less than half of its 2005 peak and placing Denmark as the tenth-largest gas producer in Europe. Danish energy production has changed significantly as a result of political efforts to promote renewable energy, combined heat and power (CHP) and energy efficiency. The Danish Climate Policy Plan of 2013 aims at fossil-free energy and transport sectors by 2050. In 2015, more than half of all electricity generation was from renewable sources. Coal-fired power generation totalled 7.0 TWh (24.2%) and is expected to be gradually phased out, perhaps by 2030 if a previous government’s target is met. The relatively high use of wind turbines for electricity generation (49.2% in 2015) enhances supply security, but also poses balancing challenges. The Danish electricity system has connections to Norway, Sweden and Germany, and electricity is traded across these borders: Denmark’s net electricity imports in 2015 were 5.9 TWh or 17.1% of gross supply. As a part of the integrated Nordic electricity market, Denmark’s coal-fired power plants play an important role in balancing not only wind power, but also hydro power from Norway and Sweden which depends on annual precipitation. Coal-fired power plants in Denmark have a total generation capacity of 4.5 GW. Majority state-owned DONG ENERGY is the owner of Asnæs (827 MW), Avedøre (262 MW), Ensted (626 MW), Esbjerg (417 MW), Stigsnæs (455 MW) and Studstrup (700 MW) power plants. VATTENFALL, the Swedish state-owned energy company, has retreated from the last of its fossil-fuelled assets in Denmark. The 319 MW Amager power plant was sold in 2013 and Fyn power plant (409 MW), initially intended for decommissioning, was sold in 2014 to a local municipality company. Finally, in 2015, the 410 MW Nordjylland plant was sold to another local municipality company. Some plants co-fire coal with biomass and many are CHP plants with connections to district heating systems, including Nordjyllandsværket 3 which is one of the world’s most efficient coal-fired power plants. Its supercritical boilers and steam turbines result in a very high electrical generation efficiency of 47% and, with the supply of heat, the overall efficiency can exceed 95%. Some larger coal-fired CHP plants are being converted to fire 100% biomass, mainly wood pellets. Denmark has no indigenous coal resources. In 2015, the country imported 2.8 million tonnes of coal, mainly from Russia, Colombia and South Africa. 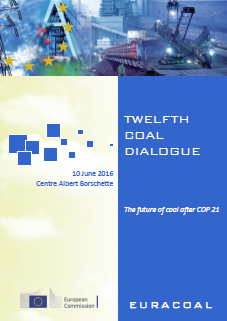 Over 95% of this coal is used for electricity and heat generation, including district heating. Having peaked in 1984 at 96%, the share of electricity produced from coal has fallen and the Danish government expects this decrease to continue to 15% in 2030. With an energy import dependency of 48.8% in 2014, Finland is dependent on foreign energy supplies because the country lacks oil, natural gas and coal reserves. This situation means that Finnish energy policy aims to maximise the country’s energy diversity. One third of electricity production is from nuclear power plants and Finland’s fifth nuclear reactor, a 1 600 MW EPR, is under construction at Olkiluoto, with more reactors planned. Locally produced peat (3.6 million tonnes in 2015) is used as a fuel, mainly at dedicated district heating plants and at combined heat and power (CHP) plants, the latter accounting for 4.2% of total electricity supply in 2015. Finland is one of the world leaders in renewable energy, especially bio-energy. Overall, renewable energy sources provide one third of Finland’s total primary energy supply and accounted for 33.3% of power generation in 2015. Nevertheless, coal and natural gas are the main fuels for CHP plants in Finland. For conventional thermal power generation, coal is the leading source of energy, although its share in conventional generation is falling. In 2015, gross electricity generation from coal was 6.2 TWh (9.1% of total) and coal fuelled around one quarter of district heating. The efficiency of heat and power production in Finland is very high; approximately one third of electricity is produced at CHP plants which operate with overall efficiencies of 80% to 90%. These plants are used widely by industry and for both district heating and cooling. Annual coal imports to Finland were 3.5 million tonnes in 2015: 2.2 million tonnes of steam coal for energy production and 1.3 million tonnes of coking coal for the steel industry. Small quantities of coal are used by the cement industry. All coal is imported, steam coal mostly from Russia and coking coal from North America. The EU’s influence on domestic energy policy has increased in recent years, notably the 20-20-20 targets. Finland is implementing many integrated energy and climate policy measures, in particular energy efficiency and energy-saving measures, and increasing the share of renewable energy to 38% by 2020. As well as the increased share of renewable energy, the national energy and climate strategy aims to maintain the position of peat as an indigenous energy resource, but to diminish the share of fossil fuels, in particular coal. Therefore, the construction of new coal-fired capacity is unlikely, except where coal is co-fired with biomass or used in multi-fuel boilers. Energy sources for electricity production should continue to be diversified and versatile, thanks to the flexibility and variety of CHP plants. Hard coal mining in France ended in April 2004 with the closure of the last operational mine, La Houve in the Lorraine region. The state-owned coal company Charbonnages de France ceased activity at the end of 2007. Small quantities of coal are recovered from spoil tips in Northern France and slurry ponds in Lorraine, but this was just 20 thousand tonnes in 2015. Today, all coal is imported. Coal resources in France are estimated by the French geological survey (BRGM) to be 425 million tonnes of hard coal plus an additional 300 million tonnes of lignite. Despite several proposals, there has been, to date, no successful project to revive coal mining in France. In 2015, coal imports amounted to 14.3 million tonnes, including a significant amount of coking coal. Coal is delivered through the ports of Dunkerque, Le Havre, Rouen, Montoir and Fos-sur-Mer, as well as via the ARA ports. Gross power generation in France was 562.8 TWh in 2015, with 77.0% of this total generated at nuclear power plants. Conventional thermal electricity production contributed 6.0%, hydro 10.5%, wind 3.7% and solar PV 1.3%. Coal-fired generation accounted for 2.2% of the total while the share of renewables was 16.4%. Coal consumption amounted to 13.6 million tonnes in 2015, of which 3.4 million tonnes were consumed at power plants. The largest plants are located at Cordemais (1 200 MW) and Le Havre (600 MW), both owned by EDF, adjacent to ports, and the single remaining unit 6 at Emile-Huchet (600 MW) owned by UNIPER in Lorraine. In compliance with the Large Combustion Plants Directive (LCPD), two of Le Havre’s three units closed in 2013. The remaining unit 4 is expected to operate until 2035. With a view to the future, EDF commissioned a pilot-scale CO2 capture plant at Le Havre in 2012. The company owns three smaller coal-fired plants: Blénod (500 MW), Bouchain (250 MW) and La Maxe (500 MW). Blénod closed in 2014 and the two others closed in 2015. Similarly, UNIPER closed the four oldest units at its French coal-fired power plants (235 MW Hornaing 3, 245 MW Lucy 3 and Emile Huchet 4 and 5) between 2013 and 2015, as required by the LCPD, while the 230 MW Gardanne 4 (170 MW) in Provence is being converted to biomass by DOOSAN, leaving the 595 MW unit 5 on coal. The French steel industry consumes important volumes of coal – 1.9 million tonnes for coking and 5.9 million tonnes in integrated steel works in 2015. ARCELORMITTAL plants at Dunkerque, Florange and Fos-sur-Mer are the biggest coal consumers in this sector. Lying in the Caucasus region between Europe and Asia, Georgia has significant hard coal reserves of 201 million tonnes plus resources of 700 million tonnes in the Tkibuli-Shaori and Tkvarcheli deposits. The Akhaltsikhe lignite deposit near Vale has reserves of 76 million tonnes, currently not exploited. Coal production in Georgia peaked at 3 million tonnes in 1958, but by 2000 production had collapsed to almost zero. Today, following the “Rose Revolution” of 2003 and conflict with Russia in 2008, the coal industry is being revitalised. In 2015, Georgia produced 353 thousand tonnes of lignite from mines at Tkibuli and imported 112 thousand tonnes of hard coal mainly for industrial use. Coal provided 6.6% of Georgia’s total primary energy supply of 6.3 million tonnes of coal equivalent in 2014. Natural gas is the main primary energy source (41.8%), followed by oil (23.8%), hydro (16.3%) and biomass (10.6%). Wood consumption, mainly for space heating, water heating and cooking, leads to significant problems with deforestation. Hydro power plants are the most important source of electricity (78% of the 10.8 TWh total in 2015) with thermal power plants fired on imported natural gas from Russia accounting for the remainder. There is potential to expand hydro and wind power generation for export. To this end, the 2 x 350 MW Black Sea Transmission Network HVDC link with Turkey was completed in December 2013 with support from the European Investment Bank and the German government. Georgia is now looking to construct another HVDC link to Armenia. SAQNAKHSHIRI, a subsidiary of the GEORGIAN INDUSTRIAL GROUP (GIG), owns and operates two underground coal mines, Dzidziguri and Mindeli in the city of Tkibuli, the only coal mines in Georgia. These mines were rehabilitated and a new coal preparation plant commissioned in 2009 to supply cement works at Kaspi and Rustavi as well as the ferroalloy industry. The mines employed 1 400 workers in 2015. With GIG’s license covering more than 331 million tonnes of resources, the Tkibuli coal mining development plan envisages raising output to one million tonnes per year by 2020. GIG operates a small coal-fired power plant with a capacity of 49 MW at Tkibuli. Tenders have been invited for the modernisation of a damaged 300 MW power unit at Gardabani near Tbilisi with a coal-fired CFB boiler which would lead to an expansion of mining in the Tkibuli-Shaori coalfield. GIG plans to have more than 1 000 MW of capacity by 2020, a significant increase on the company’s current capacity of 662 MW or around 20% of Georgia’s total generation capacity. In June 2014, Georgia signed an Association Agreement with the European Union which includes a “deep and comprehensive free trade area”. The country is also a candidate party to the Energy Community Treaty and hopes to join the European Network of Transmission System operators for Electricity (ENTSO-E). In the breakaway republic of Abkhazia, the Turkish operator TAMSASH produces coking coal from an opencast mine in the Tkvarcheli coalfield. The Republic of Ireland has no indigenous coal production, although 3.5 million tonnes of peat were extracted in 2015 for energy use, this being 39.4% of total indigenous energy production. Coal imports totalled 2.4 million tonnes in 2015, all steam coal and coming mostly from Colombia. Coal and peat use have declined, but together still accounted for 16.3% of the country’s total primary energy supply of 18.9 million tonnes of coal equivalent in 2015, used mainly for power generation. BORD NA MÓNA is the leading peat producer and distributes solid fuel products within the residential heating market in Ireland. The company’s peat briquettes are popular due to their low sulphur emissions and competitive price. Since 2001, peat-fired power plants have been supported by a public service obligation as they contribute to security of electricity supply with the use of indigenous fuels. However, this support is expiring: in 2015 in the case of the Edenderry power plant and in 2019 in the cases of the West Offaly and Lough Ree plants. In addition, the government has set biomass dilution targets for peat used as a fuel. For example, the 128 MW Edenderry power plant was designed and built to fire peat, but is now co‑fired with a mixture of peat and carbon-neutral biomass from forests and energy crops. The use of such biomass commenced in 2008 and has increased steadily. Taken together, these developments will further reduce the demand for peat and mean that, by 2030, no energy peat will be harvested. In 2015, 8.7% of Irish electricity was generated at peat-fired power plants. Ireland has a single coal-fired power plant at Moneypoint in County Clare operated by the ELECTRICITY SUPPLY BOARD (ESB). At 915 MW, it is Ireland’s largest power station, having been fully commissioned in 1987 as part of a fuel diversity strategy. Significant refurbishments have been carried out by ESB to meet environmental standards, including a €368 million investment in pollution control equipment to meet EU regulations on NOx and SO2. Moneypoint is expected to operate until at least 2025. Natural gas was the dominant fuel for power generation in 2015 with a 44.6% share of generation, followed by wind (22.9%) and coal (17.2%). In 2015, Ireland imported 96.5% of its natural gas needs. This points to a high security of supply risk since all imports must flow through a single transit point at Moffat in Scotland. However, the Corrib offshore gas field came on stream in late 2015 and is expected to meet approximately 40% of the combined gas demand of Ireland and Northern Ireland over the first two years of production before output starts to decline. Overall, Ireland had an 85.3% energy import dependence, compared with an EU average of 53.5% in 2014. According to a government consultation paper “Towards a New Affordable Energy Strategy for Ireland” which reviewed the national energy strategy in 2015, more can be done on energy affordability. Work by the Irish Institute of Public Health suggests that Ireland experiences a significant level of excess winter deaths with over 50% of these being attributable to poor heating due to energy poverty. Italy’s energy demand peaked in 2005. Then, following the global financial crisis of 2008, the country’s GDP stagnated and its total primary energy supply fell. The worldwide decrease in energy commodity prices, especially oil prices, led to a helpful 23% reduction in the country’s energy import bill from €44.6 billion in 2014 to €34.5 billion in 2015. Apart from renewable energy sources, which have grown with strong hydroelectric production, the use of all other energy sources has decreased, reflecting and worsening the economic situation. The only coal reserves and resources in Italy are located in the Sulcis Iglesiente basin, in south-west Sardinia, totalling an estimated 610 million tonnes. Mining activities were stopped there in 1972, but restarted in 1997 with many environmental improvements. CARBOSULCIS, owned by the Autonomous Government of Sardinia, will close its single mine in December 2018, with production gradually declining from 73 thousand tonnes in 2015 to 30 thousand in 2018. Italian electricity production is unique in Europe and among the G8 countries without any solid base of nuclear power or coal-fired power generation and an overdependence on oil and gas for power generation. Natural gas dominates with a 38.2% share of power generation in 2015, followed by coal (16.6%), hydro (16.0%), solar (8.9%), wind (5.2%) and oil (4.8%). Biofuels, energy from waste and geothermal accounted for the balance of electricity production. Net electricity imports of 46.4 TWh met over 14% of gross electricity supply, coming mainly from nuclear and hydro power plants in Switzerland, France and Slovenia. This strong dependence on imported electricity is expected to grow over the coming years. In a decisive June 2011 referendum, Italian voters rejected government proposals to restart a nuclear programme that was abandoned following an earlier referendum held after the 1986 Chernobyl disaster. The government responded with a National Energy Strategy. Approved in March 2013, this strategy places an emphasis on renewable energy sources and the greater use of natural gas for power generation – both of which have further increased the cost of electricity in Italy. High electricity costs have a negative impact on industrial competitiveness: in 2015, Italian industry paid 16.14 €c/kWh compared with an EU average of 11.75 €c/kWh, being the highest in the EU. Italy had an overall energy import dependence of 75.9% in 2014, rising to 89.7% in the case of natural gas which comes mainly from Russia (43%), Algeria (12%), Libya (12%) and the Netherlands (12%), at unattractive prices. In 2015, Italy imported 16.0 million tonnes of steam coal and 3.5 million tonnes of coking coal. The main supply countries are South Africa, Russia, Indonesia, the USA, Colombia and Australia. ENEL has a 10% shareholding in PT BAYAN RESOURCES of Indonesia which produced 11.3 million tonnes in 2015. Coal imports peaked in 2008 at 25.1 million tonnes and have since fallen because of the forced closure of the 660 MW Vado Ligure coal-fired power plant owned by TIRRENO POWER and the enduring troubles at the ILVA steel plant in Taranto. With the conversions from fuel oil to coal and modernisation of many power plants, Italy now has some of the best-performing plants in Europe, with an average efficiency of 40% compared with the European average of 35%. ENEL’s 1 980 MW coal-fired Torrevaldaliga Nord power plant attains an efficiency of 46%, thus matching the world-leading performance of plants in Japan and Denmark. Alongside much work on carbon capture and storage, Italy has committed to a programme of industrial innovation aimed at engineering oxy-fuel combustion technology for CO2 capture and geological storage under a project developed by the Sotacarbo Technology Hub for Clean Energy. In 1952, when its prosperity was based on steelmaking, the Grand Duchy of Luxembourg was chosen as the site of the European Coal and Steel Community, marking the start of the institutional development that led to the European Union. With an energy-import dependence of 96.6%, second only to Malta among the EU member states, Luxembourg is almost entirely dependent on imports for its energy needs. The country has two major power generation sites: a 1 300 MW pumped-storage hydro plant at Vianden and a 385 MW combined-cycle gas turbine (CCGT) plant at Esch-sur-Alzette operated by TWINERG. The domestic electricity grid forms part of the German control bloc managed by the transmission system operator AMPRION. The steel industry’s conversion to electric-arc furnaces (ARCELORMITTAL steel works at Belval, Differdange and Schifflange) has practically eliminated Luxembourg’s coal use. Coal is used today mainly for the production of cement at the CIMALUX Rumelange plant. All coal is imported – 73 thousand tonnes in 2015 – and makes only a small contribution to the country’s primary energy supply. Yet, in 2014, Luxembourg had the highest per capita CO2 emissions (16.57 tCO2/capita) of all the OECD countries. Malta has no conventional energy production and reports no coal consumption. Until 1995, coal was imported for power generation. ENEMALTA’s Delimara power station, with a capacity of 444 MW, burns imported fuel oil in steam boilers/turbines and diesel engines, as well as distillate fuel in gas turbines. In 2014, the Malta Environment and Planning Authority approved the building of a new 215 MW gas-fired power plant at Delimara with floating LNG storage and regasification facilities. A new 200 MW interconnector between Malta and Sicily was inaugurated in April 2015. The Republic of Moldova does not produce coal or lignite. It imports small quantities of hard coal for use by industry and in heating plants – 183 thousand tonnes in 2015. Coal represents about 3% of gross inland energy consumption. Electricity is imported from Ukraine, but mostly from the 2 520 MW Kuchurgan thermal power plant located in the Transnistria region. The plant can be fuelled by coal, natural gas or fuel oil. In 1990, over 4 million tonnes of coal were consumed there, but since the late 1990s the station has used virtually no coal. Although the Moldovan electricity grid is synchronised with Russia’s (IPS/UPS), some units at Kuchurgan could be synchronised with Continental Europe to allow exports of electricity via Romania. Owned by MOLDAVSKAYA GRES, a subsidiary of the Russian company INTER RAO UES, the plant is in need of refurbishment and only operates at around 20% of its installed capacity. The remaining supply of electricity is covered by a 330 MW gas-fired combined heat and power (CHP) plant, several more CHP plants at sugar refineries (totalling 98 MW) and two hydro power plants (16 MW and 48 MW). Hard coal mining dominated the South Limburg area of the Netherlands from the early 1900s to the mid-1970s. The coalfield, located in the south of the country close to the German and Belgian borders, was mainly exploited from underground mines. Since around 1915, lignite was extracted at opencast mines near the towns of Eygelshoven and Hoensbroek. These deposits were located on the north-west fringe of the large German lignite basin to the west of Cologne. Lignite mining ceased in 1968 with the closure of the Carisborg site. The Netherlands is home to the main trans-loading ports for coal imports into Europe. Rotterdam and Amsterdam ports, along with Antwerp in Belgium, constitute the ARA trading area for imported coking coal and steam coal in north-west Europe. Over 15% of the Netherlands’ primary energy supply is provided by coal. In 2015, the country imported 12.4 million tonnes, comprising 8.9 million tonnes of steam coal and 3.5 million tonnes of coking coal. The main supplier countries were Colombia, South Africa, the USA and Russia. Most imported coal is used for coal-fired power generation and coal had a 37.3% share of the Dutch power generation market in 2015 which totalled 110.0 TWh. The new ENGIE Maasvlakte power plant (800 MW) was commissioned in early 2015. Two other new plants are the RWE/ESSENT Eemshaven plant (1 560 MW) near Groningen and the UNIPER Maasvlakte 3 plant (1 116 MW) in the Rotterdam area. All three of these plants employ the latest supercritical steam technologies to achieve high energy efficiencies. Older installed and operating coal-fired plants are located at Geertruidenberg (Amer 600 MW), Borssele (426 MW) and Amsterdam (Hemweg 630 MW). All these plants co-fire coal with biomass, to a greater or lesser extent. Ownership is very diverse, with ESSENT (a subsidiary of RWE), ELECTRABEL (a subsidiary of ENGIE), UNIPER, EPZ and NUON (a subsidiary of VATTENFALL) being the major players in coal-fired generation. The Netherlands has a progressive policy on coal and the government has supported CCS demonstration projects, including the ROAD project (Rotterdam Opslag en Afvang Demonstratieproject). TATA STEEL owns the IJmuiden integrated steel works which has a crude steel annual production capacity of 7 million tonnes and consumes most of the coking and PCI coal imported by the Netherlands. A pilot project at IJmuiden to demonstrate a new iron-making process, called Hisarna, aims to reduce CO2 emissions from steelmaking. Norway, Europe’s northernmost country, opted to stay out of the EU by referendum in 1994, but is a significant supplier to the EU of coal, oil and natural gas. In 2014, 31.6% of EU gas imports came from Norway, the world’s second largest gas exporter after Russia. Hydro power plants supplied 95.9% of Norway’s gross electricity generation in 2015 and the country is a significant net exporter of electricity: 10% of gross production. In 2015, Norway produced 1.1 million tonnes of hard coal and imported 0.7 million tonnes of steam coal plus 0.4 million tonnes of coke for use in the metallurgical industry, chemicals production and cement manufacture. Norway has access to deposits of good quality, high calorific value coal at Svalbard lying within the Arctic Circle where resources are estimated to total 53.1 million tonnes, with reserves of 1.9 million tonnes. Coal mining on Spitsbergen, the largest and only permanently populated island of the Svalbard archipelago, serves multiple government goals, not all related to energy. Without continued peaceful economic activity on Spitsbergen, Norwegian sovereignty might be weakened by foreign economic activity since the Svalbard Treaty of 1920 grants rights to all thirty-nine signatories. The state-owned STORE NORSKE SPITSBERGEN KULKOMPANI (SNSK) operates three drift mines employing 207 people: Svea Nord longwall mine located 60 kilometres south of Longyearbyen, the new Lunckefjell mine north-east of Svea which opened in February 2014 and Gruve 7 room-and-pillar mine in the valley of Adventdalen near Longyearbyen. Coal production at Svea Nord in 2015 was 1 040 450 tonnes, Gruve 7 produced 57 782 tonnes and Lunckefjell 7 359 tonnes before it was mothballed in January 2015. There is no road connection between Longyearbyen and Svea, so all personnel transport is by plane or snowmobile in the winter. Spitsbergen’s 10 MW coal-fired combined heat and power plant takes coal from Gruve 7 and a decision must be taken soon on its replacement. At NOK 3-5 billion, an underwater cable from the mainland is possible, but hugely expensive. 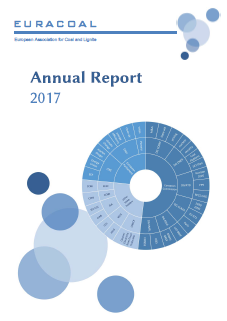 A difficult economic situation throughout 2015, caused by low coal prices, led to extensive cost reductions and a significant downsizing of SNSK, a process that has continued in 2016. The plan is to resume coal production at Lunckefjell when prices pick up. To bring in some revenue from tourists, Gruve 3 which closed in 1996 re‑opened as a museum with underground tours. Coal is sold on the international market – 71% for energy production, 13% to industry (cement, paper and other speciality applications) and 16% to steelworks at an average selling price of 450 NOK (50 USD) per tonne in 2015 – with Germany being the largest customer. SNSK cannot provide a year-round supply of coal because the sea port at Sveagruva is frozen for much of the year. Twenty shipments to Rotterdam and Hamburg were made between 7 August and 21 November 2015. Political guidance for SNSK’s operations is laid down in a government White Paper (No. 22 to the Storting, 2008-2009), establishing that SNSK and its coal mining operations are – and will remain – important for maintaining a Norwegian community in Longyearbyen on Spitsbergen. In March 2015, the Norwegian government decided that, in order to enable continued mining operations during the period of low coal prices, it would award NOK 649 million in subsidies to SNSK between 2016 and 2019. Completely at odds with this decision, Norway’s sovereign-wealth fund, the world’s largest, has sold most of its shareholdings in coal mining companies after succumbing to a global campaign against coal. In co‑operation with SINTEF and the Arctic University of Norway, SNSK is engaged in research projects supported by the Norwegian Research Council on alternative uses for coal and processed coal with the aim of increasing the value of Svalbard coal. Norwegians are conscious that end-use emissions from the country’s exports of oil and gas are very substantial. In response, Norway has been a pioneer in the field of carbon capture and storage: at the Sleipner natural gas field and at the Snøhvit LNG project. The CO2 Technology Centre Mongstad was inaugurated in May 2012 to develop CO2 capture technologies for both gas- and coal-fired power plants. Portugal has limited indigenous energy resources, leading to a 71.6% energy-import dependence in 2014. Its last coal mine, Germunde in the Castelo de Paiva region, was closed in 1994, leaving behind reserves of 3 million tonnes. The country also has lignite resources of 66 million tonnes. In 2015, 48.9% of Portugal’s electricity production came from renewable energy sources: wind, hydro, solar PV, geothermal and wave. Nevertheless, coal-fired electricity generation remains crucial to cover those periods when wind and solar power are not available and to balance the annual variations in hydro electricity production on the Iberian Peninsula. Imported coal accounted for 14.7% of total primary energy supply in 2015 with imports of 5.6 million tonnes coming almost entirely from Colombia. Most of this coal was consumed at Portugal’s two coal-fired power plants located at Sines (1 256 MW) and Pego (628 MW). Both are fitted with flue gas desulphurisation and selective catalytic reduction to reduce emissions of sulphur dioxide and NOx. Sines power plant, adjacent to a coal import terminal on the Atlantic coast, was built in the late 1980s and is owned by ENERGIAS DE PORTUGAL (EDP). The inland Pego power plant, about 120 kilometres north-west of Lisbon, was fully commissioned in 1995 and is now owned by TRUST ENERGY, a joint venture of ENGIE, MARUBENI and ENDESA, a subsidiary of ENEL. By 2020, Portugal intends to generate 60% of its electricity from renewable energy sources in order to satisfy 31% of its final energy consumption. Although Portugal has this ambitious target, austerity measures following the economic crisis mean that the government has had to scale back support for renewable energy and revise capacity payments. Moreover, the country faces a massive “tariff deficit”, this being the shortfall between electricity sector tariff revenues and actual costs, including the payment of renewable subsidies. At the end of 2014, the total accumulated tariff deficit was estimated at €4.69 billion or 3.1% of GDP. The countries of South East Europe not covered in earlier chapters include Albania, Bosnia and Herzegovina, Croatia, Kosovo, the Former Yugoslav Republic of Macedonia and Montenegro. Albania produces very small volumes of lignite, about 4 thousand tonnes in 2015, and imports further volumes to meet demand totalling an estimated 106 thousand tonnes at industrial and residential customers, including the Antea cement works. With total resources of 727 million tonnes, the country has the potential to support a much larger lignite mining industry. During the 1980s, annual production of around 2.4 million tonnes came from mines in central Albania at Valias, Manëz and Krrabë; at Mborje and Drenovë in the Korçë district; in northern Tepelenë at Memaliaj and at Alarup to the south of Lake Ohrid. The country produces all of its electricity at hydro plants. ENEL planned to build an 800 MW coal-fired power plant at Porto Romano and export electricity to Italy, but Albania is now focussed on increasing its hydro capacity and completing a 400 kV interconnector with Kosovo. In Bosnia and Herzegovina, brown coal and lignite make a large contribution to primary energy supply (56.7% in 2014). In 2015, the country produced a total of 12.6 million tonnes of brown coal and lignite, consumed mainly at power plants near to mines that accounted for 62.8% of gross electricity production in 2014. The country imported 1.4 million tonnes of hard coal in 2015. At 2 264 million tonnes, Bosnia and Herzegovina’s reserves of lignite are substantial and total resources of 5 274 million tonnes are reported. The largest coal deposits are located in the north-east of the country around Tuzla in the Kreka-Banovići coal basin. Bosnian lignite parameters (a.r.) are: lower calorific value: 9 100 kJ/kg (2 200 kcal/kg), moisture: 49%, ash: 3.8%, sulphur: 0.13%. ELEKTROPRIVREDA BiH dd SARAJEVO is the state-owned parent company of KONCERN EPBiH which has seven subsidiary coal mining companies: Rudnici „Kreka“ Tuzla (Sikulje and Dubrave opencast lignite mines and Mramor underground mine); RMU „Kakanj“ d.o.o.-Kakanj (Vrtlište opencast mine, Haljinići undergound mine and the Begići-Bištrani underground mine which opened in July 2013); RMU „Zenica“ d.o.o Zenica (Stara Jama, Raspotočje and Stranjani underground mines); RMU „Breza“ d.o.o. Breza (underground mines at Sretno and Kamenice); RMU „Đurđevik“ u Đurđeviku, d.o.o. (Višća opencast brown coal mine and Đurđevik underground mine); RMU „Abid Lolić“ d.o.o Travnik-Bila; and RU „Gračanica“ d.o.o Gornji Vakuf-Uskoplje. RMU BANOVIĆI dd operates large opencast mines at Grivice and Čubrić, employing shovel dredgers and 170‑tonne trucks to mine a 17-metre seam, and has developed a third opencast mine at Turija. The company also operates one partly mechanised underground mine at Omazići. In November 2015, RMU BANOVIĆI signed an agreement with DONGFANG ELECTRIC CORP to build a new power plant in Banovići. The project includes a 350 MW lignite-fired unit with a Chinese-designed supercritical circulating fluidised bed. Coal mines situated in northeast and central Bosnia serve the Tuzla and Kakanj power plants owned and operated by ELEKTROPRIVREDA BiH. The Gacko coal mine and power plant in the south of the country and the Ugljevik coal mine and power plant in the east are operated by the state-owned ELEKTROPRIVREDA REPUBLIKE SRPSKE (EPRS). Other mines include Livno and Tušnica which supply the Ugljevik power plant as well as Kamengrad mine, although not all are in production. The 715 MW Tuzla power plant has three units and supplies heat to Tuzla and Lukavac as well as process steam to nearby industries, industrial water and fly ash to the cement works at Lukavac. After the Bosnian war of 1992-95, major overhauls were completed at the plant, including boiler upgrades and the installation of new precipitators. The 450 MW Kakanj power plant has three units and was similarly reconstructed and modernised after the war. In addition to the generation of electricity, the power plant supplies heat to the city of Kakanj as well as ash and slag to the Kakanj cement works. The Gacko and Ugljevik power plants, each of 300 MW, were commissioned in 1983 and 1985 respectively. In July 2016, EPRS signed a FGD supply contract with MITSUBISHI HITACHI POWER SYSTEMS and RUDIS of Slovenia. The Ugljevik power plant is expected to re-start commercial operations in July 2019. A new 300 MW lignite-fired power plant came online in September 2016 at Stanari in northern Bosnia and Herzegovina. The plant was built by China’s DONGFANG ELECTRIC CORPORATION and financed by the CHINA DEVELOPMENT BANK with a €350 million loan. To supply the power plant, Stanari coal mine at Doboj, with reserves of 108 million tonnes, has increased its annual output capacity from 0.6 million tonnes to 2 million tonnes with a loan from SBERBANK of Russia. FAM MAGDEBURGER supplied a new belt conveyor and a semi-mobile crusher. Looking to the future, seven new coal-fired power plant projects and coal mines, including rehabilitations and expansions, are being discussed in Bosnia and Herzegovina. Croatia became the newest member state of the European Union on 1 July 2013. The country does not produce coal, but imported just over 1.0 million tonnes in 2015 mainly for use at the 335 MW Plomin power plant, 100% owned by HRVATSKA ELEKTROPRIVREDA. Coal accounted for 17% of total generation in 2014. At Plomin, a 500 MW unit C will replace unit A and thus increase the plant’s overall capacity to 710 MW while reducing CO2 emissions per unit of electricity generated by 22%. Contract negotiations began in September 2014 and an agreement with the preferred bidder, MARUBENI, was signed in February 2015. Kosovo is governed by the United Nations Interim Administration Mission in Kosovo (UNMIK), following the violent conflict of 1996-99. It has very large lignite resources, totalling 10.8 billion tonnes and fourth only to Poland, Germany and Serbia in Europe. Reserves are located in the Kosova, Dukagjini, Drenica and Skenderaj basins, although mining has been limited to the Kosova basin to date. Lignite production in 2015 was 8.4 million tonnes. For electricity, Kosovo was 96.9% dependent on lignite, with the rest coming from hydro plants and imports, including from a 32 MW hydro plant at Ujman/Gazivoda and other smaller plants. The state-owned KORPORATA ENERGJETIKE E KOSOVËS (KEK) has a monopoly position in lignite mining and electricity generation. The Kosova A (five units of which the 200 MW unit A3, 210 MW unit A4 and 210 MW unit A5 are operational) and Kosova B (2 x 339 MW units) power plants near Pristina are supplied with lignite from Sibovc Southwest mine near Obiliq which opened in 2010. In December 2014, a bid for the new 500 MW “Kosova e Re” thermal power plant (a.k.a. Kosovo C) submitted by CONTOUR GLOBAL of the United States was opened by the Ministry of Economic Development. This €1.5 billion project will replace Kosova A and will, with the development of the Sibovc mine, create 10 000 jobs, improve the environment and end the electricity blackouts that plague the country. Construction is expected to start in 2017. The Former Yugoslav Republic of Macedonia is a significant lignite producer: 5.9 million tonnes in 2015 from the state-owned ELEM Suvodol and ELEM Oslomej surface mines and a number of smaller privately owned surface mines. Coal resources are estimated at 2.5 billion tonnes in the Pelagonija and Kicevo basins, including deposits at Suvodol, Brod-Gneotino, Zhivojno, Oslomej, Popovjani and Stragomiste. Lignite from the Mariovo basin may be exploited to fuel a proposed new 300 MW power plant at Mariovo. The country also imports coal in small quantities, 280 thousand tonnes in 2015. Most coal and lignite is used for power generation which accounted for 69.6% of gross generation in 2014, mainly at the state-owned ELEM 675 MW Bitola and ELEM 125 MW Oslomej power plants. The balance is used almost entirely by the steel industry, including the DOJRAN STEEL plant at Nikolic, DUFERCO MAKSTIL’s integrated steel works at Skopje, and ARCELORMITTAL’s steel mill, also at Skopje. Montenegro produced and consumed 1.8 million tonnes of brown coal in 2015, mostly for power generation – 1.4 TWh in 2014 this being 44.8% of total generation. Hydro power supplied the remaining 55.2%. Although not currently exploited, Montenegro has hard coal resources of 337 million tonnes. Montenegro’s 220 MW Pljevlja coal-fired power plant, commissioned in 1982, is supplied with brown coal from two surface mines operated by RUDNIK UGLJA AD PLJEVLJA employing 1 053 people. A €324.5 million contract to build a new 254 MW block was signed in September 2016 with the Czech engineering group SKODA PRAHA, a subsidiary of ČEZ. In 2014, METALFER acquired an underground coal mine at Berane which had been flooded and idle since 2005. Exploitable reserves are estimated at over 50 million tonnes of brown coal with a calorific value of 14 000-17 000 kJ/kg. In January 2015, commercial mining restarted at a depth of 200 metres, employing 140 people. There is currently no coal mining in Sweden and imported coal accounted for only 4.3% of the country’s primary energy supply in 2015. Coal reserves and resources are estimated at 5 million tonnes in southern Sweden. In 2015, 420 thousand tonnes of peat were extracted. Since the mid-1990s, coal imports have been stable at close to 3 million tonnes per year (2.7 million tonnes in 2015). Demand for high-quality coking coal from Australia and the USA comes mainly from Sweden’s speciality steel industry. Limited quantities of steam coal are used at combined heat and power plants in combination with biomass, including at FORTUM’s clean and efficient Värtan plant in Stockholm – site of the world’s first commercial pressurised fluidised bed combustor. Small quantities of coal are used in the pulp and paper industry which also relies heavily on biofuels. Almost half of Sweden’s electricity demand is met by hydro power (46.1% in 2015) with nuclear power (34.8%) also being significant. The balance was met by wind power (10.3%) and CHP plants firing mainly solid wastes and biofuels (6.5%) and fossil fuels (2.2%). Wind and biomass are generously subsidised while nuclear and fossil fuels are heavily taxed. The role of nuclear power is again the subject of political discussions in Sweden. Following the 2014 election and to appease the junior coalition Green Party, the government appointed an energy commission to develop a long-term energy strategy with nuclear phase out. In June 2010, the parliament had agreed that new nuclear power plants could replace old ones at existing sites. After long negotiations, this policy was restated in a framework agreement of June 2016.